Every year I end up growing way more jalapenos and other chili peppers than I know what to do with. I try to give them away, along with my excess plums, zucchini, cucumbers, etc. but invariably some still go to waste. So this year I’m determined to find ways to process this excess produce and store for the rest of the year. So here is my answer to excess chilis. 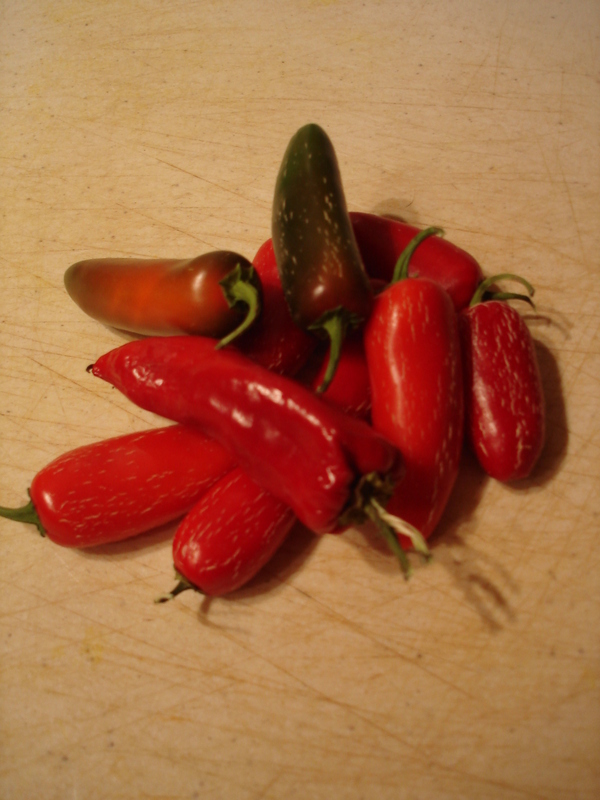 The jalapenos retains some spice but it is tempered by the acid and sugar. The result is crunchy, tangy and slightly spicy. The only problem now is that these pickled peppers are so good there is no way they will last long! Maybe I actually need to plant more jalapenos plants next year! 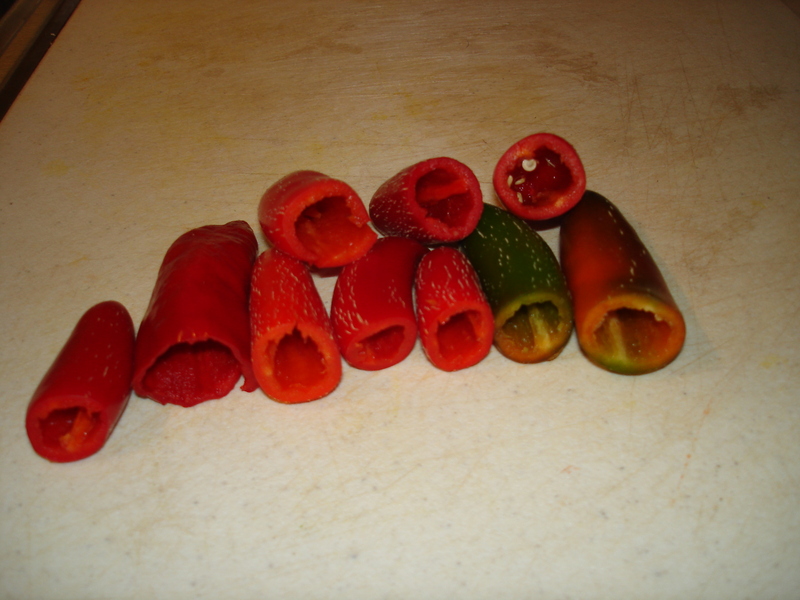 Core and slice jalapenos into thin rounds. Place sliced jalapenos into an 8oz jar. Next, fill jar with water. This will help you to know exactly how much pickling liquid you will need. Pour the water back out of the jar (keep the chilis in the jar) and measure the liquid. Discard half of the water and replace with rice wine vinegar. For example if you have 2/3 cup total water to fill the jar, then you will end up using 1/3 cup water and 1/3 cup vinegar. Bring water and vinegar to a boil, along with salt, sugar, whole peppercorns and bay leaf. Once boiling and salt and sugar have disolved, turn off and discard bay leaf. 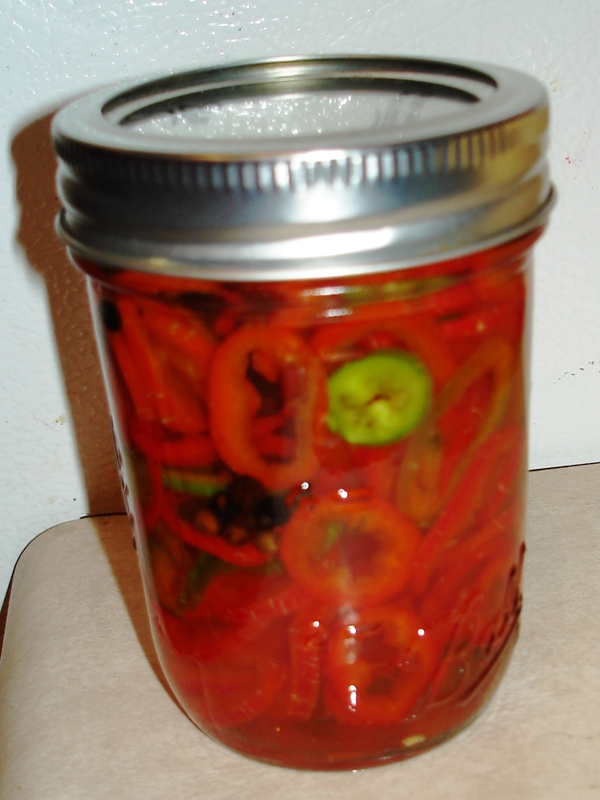 Pour pickling liquid over jalapenos and close jar. Keep refrigerated for about a month or process in boiling water if you plan to store it longer. For crunchy chilis, let sit for a few hours. For a softer texture let sit a few days before opening. Enjoy!